In summary, we convinced the administration to lower their proposed rates from $600 on campus/504 Bayside to $550 (on campus)/504 (Bayside) per semester, while extending the semester to 4.5 months from 4 months. This is $6.11 on campus and $5.60 off campus with pretax savings with parking 5 days/week. 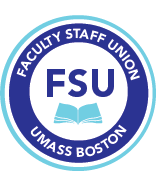 The bargaining team was able to secure the on-campus semester rate by convincing the administration that faculty are on campus an average of three days a week. The semester rate was calculated on that basis. However, to encourage faculty to be on campus more often the semester pass may be used as often as you like. You will still be paying on the three day a week basis no matter how often you use it. In addition, we convinced the administration to continue a form of multi-park pass for our lower paid members. The summer session pass for $70, which is $2.33 per use prior to pre-tax for 30 uses.